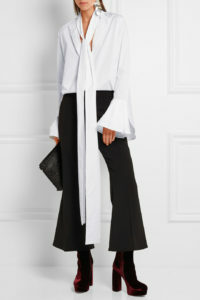 This fall, there will be a huge emphasis on statement shirts. 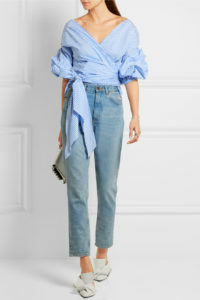 More specifically, unconventional tops with dramatic, theatrical sleeves are going to be very trendy. Designers are reinventing ways to construct (and deconstruct) traditional silhouettes and shapes.